As smartphones are small portable devices, it is important to be aware of cell phone security tips in order to prevent cell phone theft or loss. Cell phones are small, valuable, and easily lost. They are also a prime target for thieves. 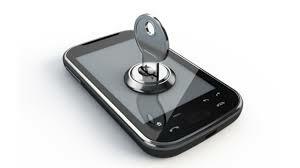 In fact, one in ten cellphone owners in the United States have had their cell phone stolen. Cell phone carriers may say that they don’t activate a phone that’s been proven stolen. However, there are ways around that. Stolen phones can be shipped to different countries and activated there. Phones can even be used without ever connecting them to one of the carrier networks. One app and a wifi connection works just as well. Another option for thieves is selling the parts. Things like batteries and screens can be expensive on their own. Another reason to steal cell phones is the information on the phones. Bank accounts, passwords, and digital cards are linked to phones. A thief could find scanned documents with personal information and account numbers too. A cell phone often houses everything needed to engage in synthetic identity theft. To prevent theft of any kind, phone owners should keep in mind the cell phone security tips mentioned in this article. Whether using a strong password, pattern, fingerprint, retina, or PIN number, cell phone owners should activate their lock screens. This prevents someone from looking through a phone, installing spyware, and returning it. An easy way to lose a phone is by accidentally leaving it in a public place and then realize hours later that the phone is missing. The phone may be recovered in some cases but other times it may be stolen and never returned. The safe option is to store it in a purse, store it in a pocket, or secure it to a belt and use ear phones whenever possible. Another one of the smartphone security tips to remember is that back pockets are enticing to pickpockets and purses should not be left unattended. One simple but effective way to prevent cell phone theft or loss is to pay attention. In public, headphones should be at a lower volume to decrease distraction. Purses or backpacks should remain within reaching distance. Phone owners should double check that their phone is with them before leaving any store or restaurant. Phones have a serial number called an IMEI or MEID. This serial number can typically be found in the phone’s settings or beneath the battery. It should be recorded and kept in a safe spot so the serial number can be given to the police when reporting the phone stolen. Some cell phones or apps have a section on the lock screen stating the owner’s information. It’s a good idea to leave a contact name and number in that section. If that section isn’t available, securing that information by tape to the back or he phone would serve the same purpose. If a phone is linked to a Google account, it can be found with Google’s ‘Find My Phone’ feature. A similar app can be used with iOS. There are also less mainstreams apps within the appstores that duplicate this function. This can be done with the Find My Phone feature. If a phone cannot be found or its location on the map is unfamiliar, the erase feature will remove important data from the phone. Passwords are saved on mobile websites and in password files. If a phone has been stolen or lost, it’s necessary to change those passwords as soon as possible to prevent further theft. Report the loss or theft of a phone to the police if necessary, to the phone provider, and to banks or credit card companies if the bank cards are linked to the phone. Doing so will create a better chance of finding it and of not being responsible for fraudulent actions or charges. These cell phone security tips can help phone owners keep their phones secure or, if necessary, methodically and safely deal with the their loss or theft. Visit our blog for the latest articles.